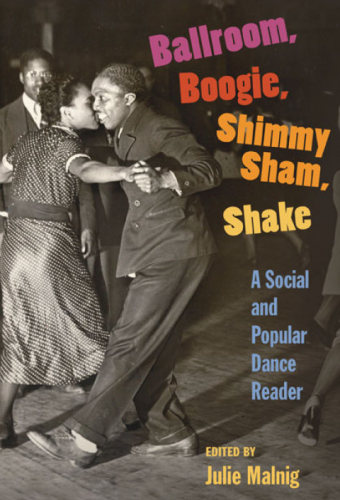 Book Review: Ballroom, Boogie, Shimmy Sham, Shake: A Social and Popular Dance Reader. Malnig’s anthology defines a space for scholarly research into the cultural significance of popular dance forms. Ballroom, Boogie, Shimmy Sham, Shake (BBSS) is a collection of essays looking at vernacular dance in the United States from the late 18th century to the early 21st century. The reader is led from the step dances of the plantations to the urban forms of b-boying and krumping; from vaudeville and the birth of ballroom, to Broadway and the dance films; from social Latin dance to DanceSport and competitive dance. The essays give the social, political and economic contexts from which various forms arose. The authors employ a range of scholarly approaches including critical theory, social history, anthropological analysis, gender/race theory and stylistic analysis among others. BBSS reveals the unacknowledged contexts and communities that have fed into American popular culture. It veers from a normative Western hierarchy that privileges theatrical and concert performance, and instead centers the value of the vernacular, social and popular. BBSS emphasizes the ‘sociality’ of popular dance: how dance influences, and is influenced by, social behavior, sociopolitical processes and the proximity of different social groups. Recurrent themes in the collection revolve around matters of appropriation and cultural “borrowing” and how these processes are restorative of Western hierarchic modes. Transculturation[i] is revealed as producing translocal[ii] identities. Contributors directly and/or indirectly address the benefits and disadvantages of the “white-washing” and/or commodification of vernacular forms for the sustenance of neoliberal capitalist culture industry. Considered as a whole, the anthology is a nuanced tale that uses both specific insights into lived spaces of social forms and broader contextual strokes of the nation’s historicity. BBSS thus serves as an alternative lens into American history from the perspective of expressive culture. And it is almost uncanny how imbricated the chapters prove to be regardless of the order they are read in. The chapter, by African American studies scholar, Nadine George-Graves, looks at the early days of ragtime music and dance that comes out of the “animal dance craze” of the 1910s. Dances like the Buzzard Lope, Snake Hip, Fish Bone or Camel Walk find their way into ballrooms alongside ragtime music, and eventually become repackaged for ragtime in accordance with more Europeanist values. George-Graves indexes this era as significant to root notions of ‘primitivity’ and the categorical erasure and othering of “blackness”. She reminds us that dance is “the embodiment of contemporaneous negotiations regarding race, gender, sexuality, religion, morality, generation and class.” And in the context of ragtime, the Africanization of European social dances (or the Europeanization of Africanist social dances) in the ballroom space can be seen as early negotiations of the socio-political in the United States. David Garcia’s later chapter locates another Other in the “mambo body” which becomes a nexus of the discourse of power, the history of social agency and a formation of a “Latin” identity through the social experience it produces. Again this form is taken into the ballroom for ‘civilizing.’ The tension between the recreational and the theatrical/studio forms resurfaces here. In “Dancing Latin/ Latin Dancing” dance scholar Juliet McMains looks at the evolution, formation and representation of Latin identities through salsa dance in juxtaposition to its ballroom (or DanceSport) counterpart. She draws attention a discursive prejudice (echoing George-Graves) that undercuts the value of “street” dancing in favor of “studio” dance. As though expanding upon an earlier chapter on “The Civilizing of America’s Ballrooms” by Elizabeth Aldrich, McMains identifies the “whitening” impulse of DanceSport. Yet as this continues, the need for fiscal stability brought many members of the Latin community to complicit affiliation with the ‘refined’ aesthetic of ballroom. Apart from highlighting issues of appropriation and the essentializing of cultural identities through regulation and commodifcation, BBSS is also concerned with the transmission and dissemination of social forms in relation to representations of race and gender. The reader can follow the trajectory of popular representation along with its ideologies and erasures. BBSS does not neglect the strong connection between technological advancement and the evolution of social forms. Nor does it neglect the equally significant growth in advertising and its connection to the formation of national identity and cultural imaginaries. The anthology traces this thread from vaudeville and the theatrical spectacle of Ziegfeld and Busby Berkley into era of film in 1928, all the way to exponential growth in dissemination when Television went national. Readers will appreciate the anthology’s depth, detail and diverse approaches. 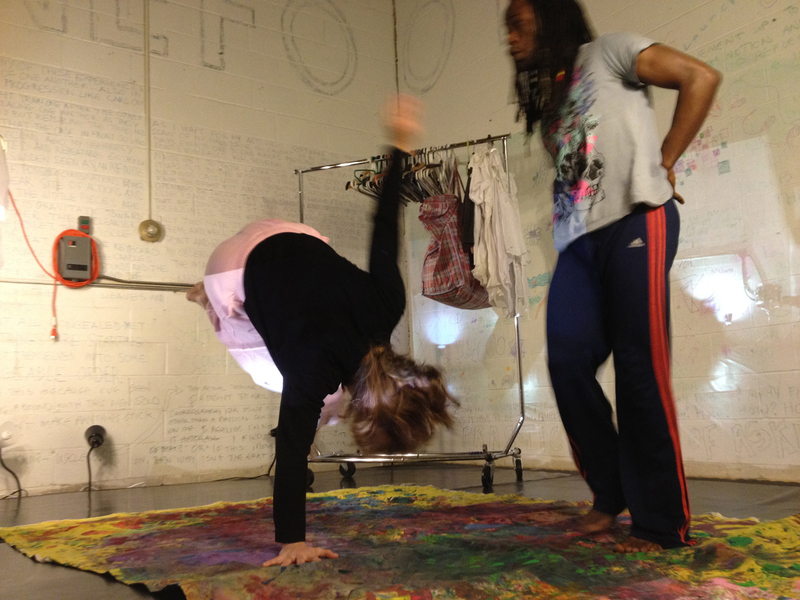 It paints a detailed image weaving together history, critical theory and dance analysis. There is fair representation of key marginal demographics central to the evolution of social dance (blacks and Latinos, women, gays) though I would have been intrigued to learn more specifically about black and Latino women within this rubric. In the sections on the birth of hip-hop there is only mere mention of the Jamaican and Caribbean influences to the music form, such as DJ Kool Herc, which are not fully woven into the tale and thus are dissolved in the ethnic substrate of “African American.” And though BBSS is not a one-sided attack on Euro-America’s history of cultural theft and erasure, it may be interesting to balance these well-articulated arguments by looking more explicitly at the matter of complicity that is mentioned repeatedly in passing. One way of doing this would have been to expound on ideologized transmission of cultural forms by deeper excavation of lived ontologies to explicate the effects of the modes of transmission. This however, does not take away from the efficacy of Malnig’s project as a resource for dance history and research methodology in social dance. BBSS eviscerates the fantastical hierarchy that privileges so-called “elite” dance forms over vernacular dance by revealing the deep dependence of the former on the latter. Through this anthology, dance studies proves a potentially valuable lens to our understanding of intersectionality[iii] and cultural processes in academia. The text would be of benefit not only to dance scholars and college level students, but to readers in related cultural fields such as ethnomusicology, social anthropology and cultural history. The collection draws from, and incorporates multiple fields of knowledge and leaves no doubts about the significance of social dance and the numerous ways society can learn from deep attention to its study. [ii] i.e. identities not restricted by national/politico-geographic boundaries such as “Pan-Latino” identity that converges around salsa music and dance regardless of nationality, or the b-boy identity that is a global culture. [iii] see Crenshaw, Kimberle. “Mapping the margins: Intersectionality, identity politics, and violence against women of color.” Stanford law review (1991): 1241-1299. ← Cycles of Complicity and the death of Revolution: the shift from communitas to competition in urban social forms. Copyright © 2019 ndini wako collaborative.